We specialize in events for 50 – 250 people. Order minimum is 25. Call for information about larger groups; we’re happy to provide proposals for a group of any size. From boxed lunches to sandwich platters, breakfast buffets, or holiday events, we have something for every occasion. We will make every effort to accommodate last-minute changes to your order after it has been confirmed. Please understand, however, we will not be able to guarantee additions and any reductions will be billed to the extent that the food has already been ordered. We require a deposit to confirm your event. With the exception of memorial services, menus and attendee counts must be confirmed no later than 1 week prior to the event date. 25% of estimated charges due upon booking. Event dates are not secured until a deposit is received. 25% of estimated charges due one week prior to event date. Menu choices and attendee counts are also due at this time. Balance of charges due one day prior to your event. Deposits are fully refundable if events are cancelled four weeks in advance. Events cancelled three weeks ahead of time are subject to a fee equal to 10% of all estimated food/service costs. Events cancelled within one week are subject to 100% of estimated service fees and all costs of food ordered by the date of cancellation. Deposits can be transferred to another event, depending on date and resource availability. Please call for details. We have a catering service staff available upon request for set up, event service and clean up. A 20% service charge and gratuity will be applied to food and beverage totals for all events with staff. Groups of 50+ require at least 1 server. Please note: Holidays are very busy and we book up fast. We will try our best to accommodate event staffing needs during this time. 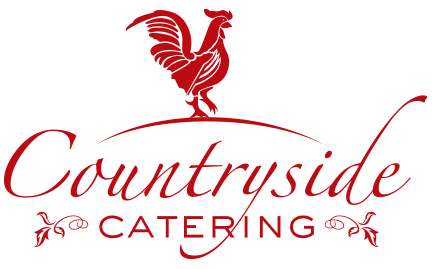 We are more than happy to deliver your catering order. Delivery fees vary depending on the location and nature of your event. Our staff will arrive at the designated time and set up your event; and items will be delivered in disposable service ware. If serving staff is employed for event, delivery fees are waived.